Fractions can be one of the most difficult math concepts for kids to grasp. 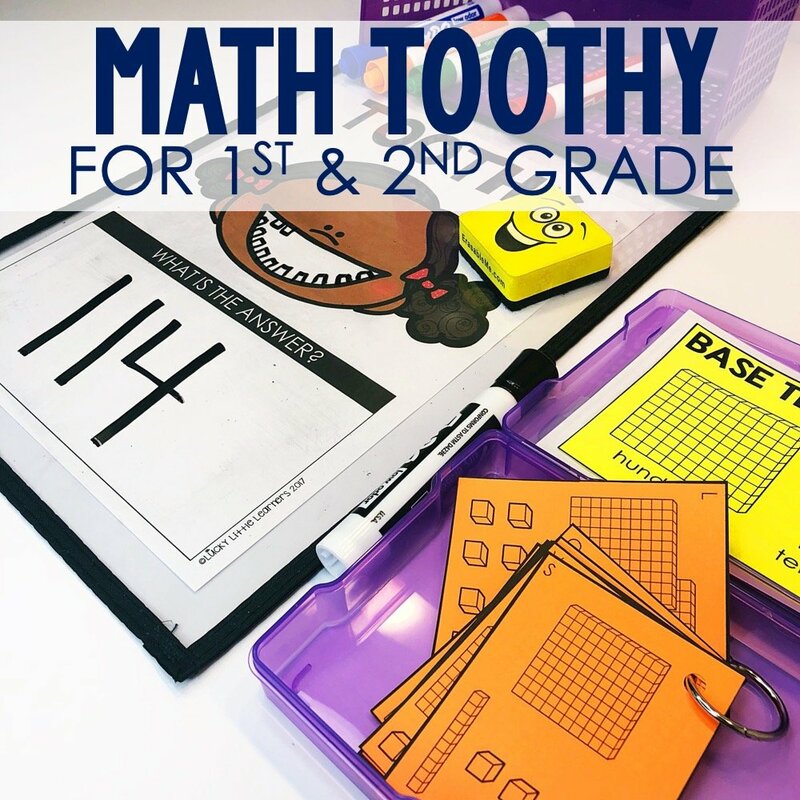 And while using a variety of manipulatives or hands-on activities can be very effective while teaching fractions, sometimes a great storybook is all you need! 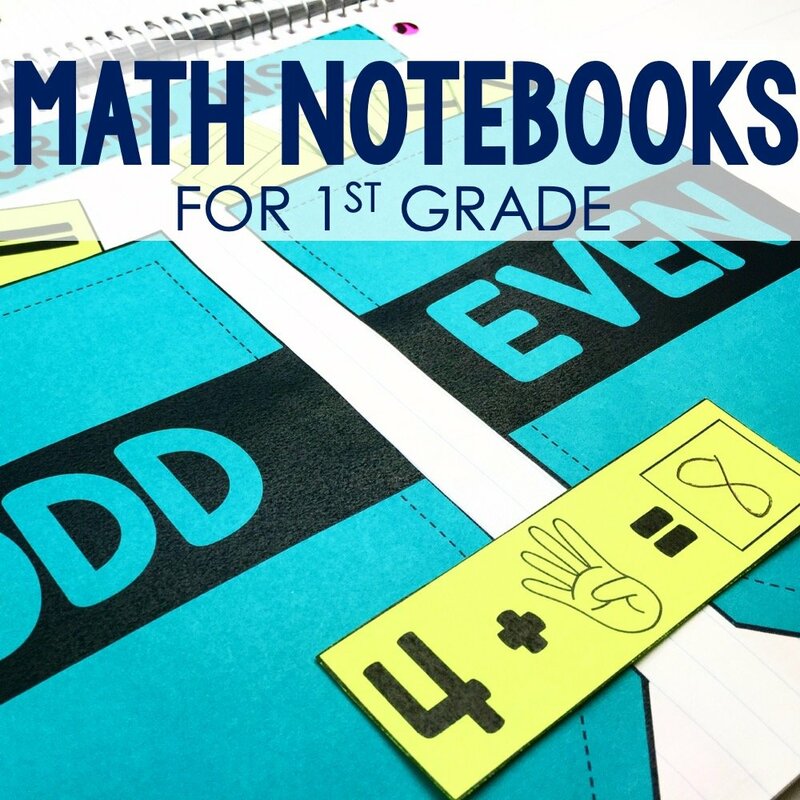 Math-focused storybooks are an excellent resource to use when teaching fractions. 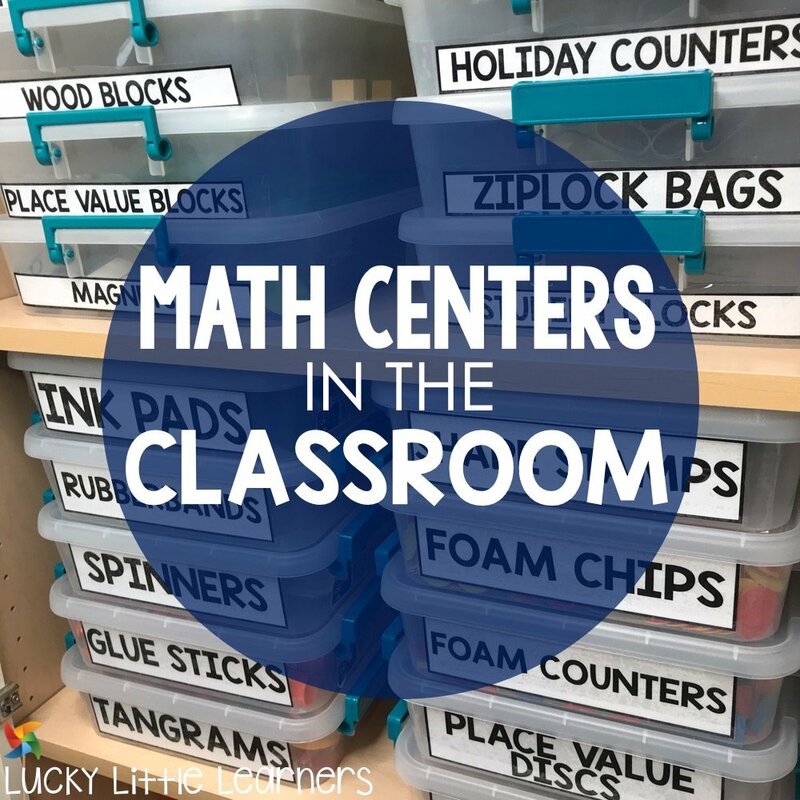 They can add to your math instruction in so many ways! 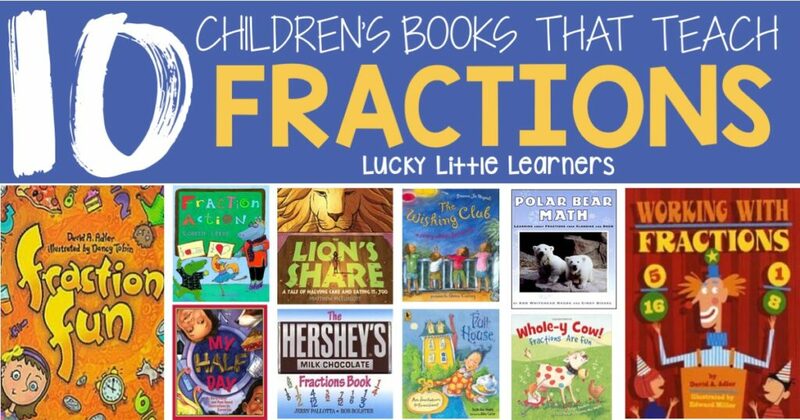 The right storybook can get your kids excited about fractions, deepen their understanding of fractional concepts, and add an element of fun and creativity to your math instruction! 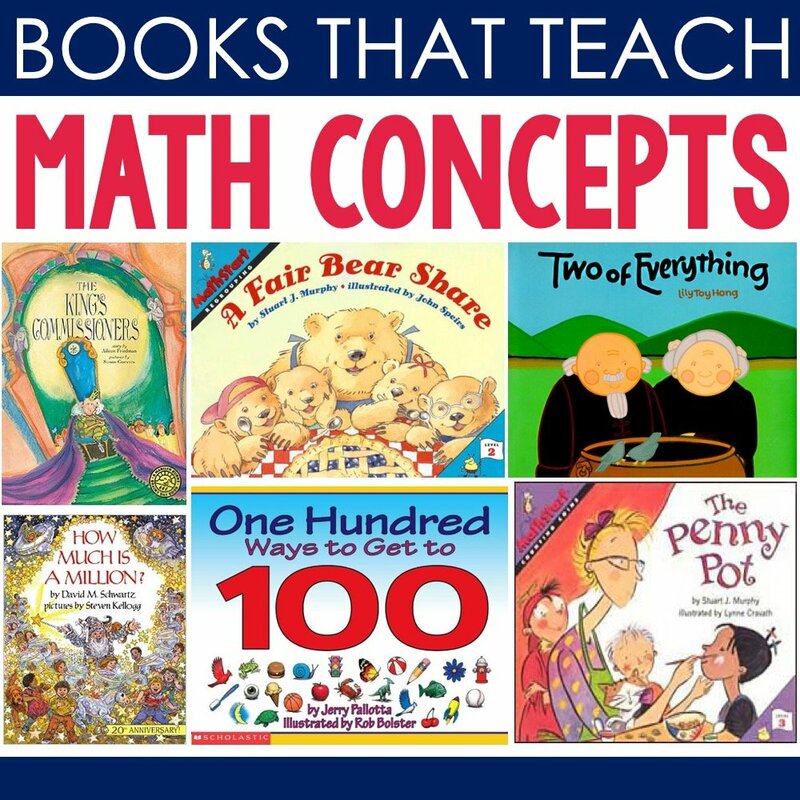 The following list of books feature a good mix of child-friendly stories that address a variety of fraction-related topics while also showcasing some beautiful graphics and illustrations that will capture your students attention and keep them engaged. 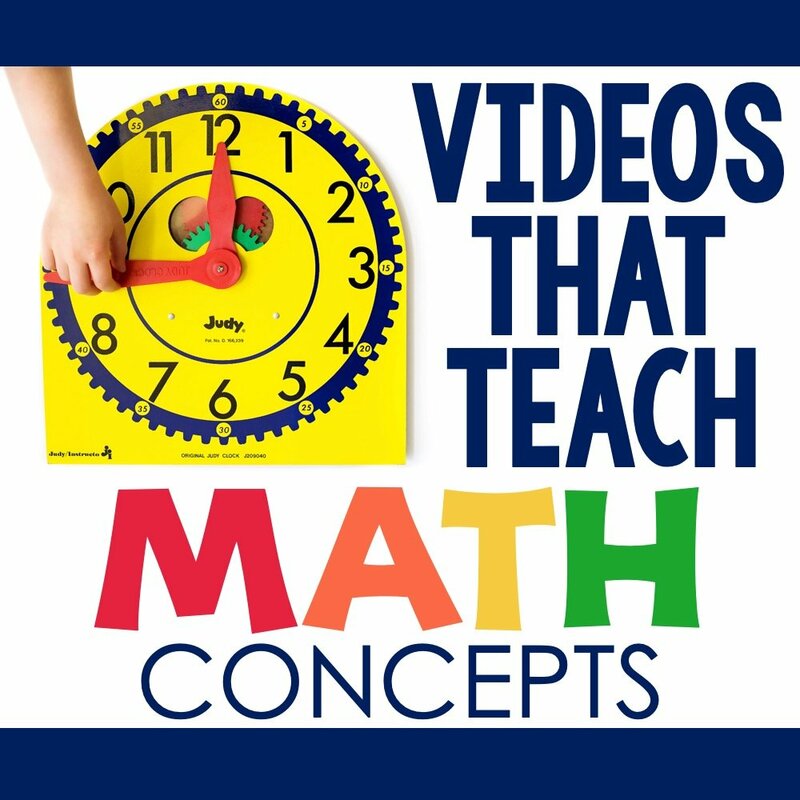 I’ve found so many of these titles to be extremely helpful when teaching fractions and I hope that you will too! 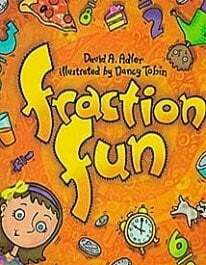 Fraction Fun by David Adler is a deliciously fun way to teach your students about fractions. 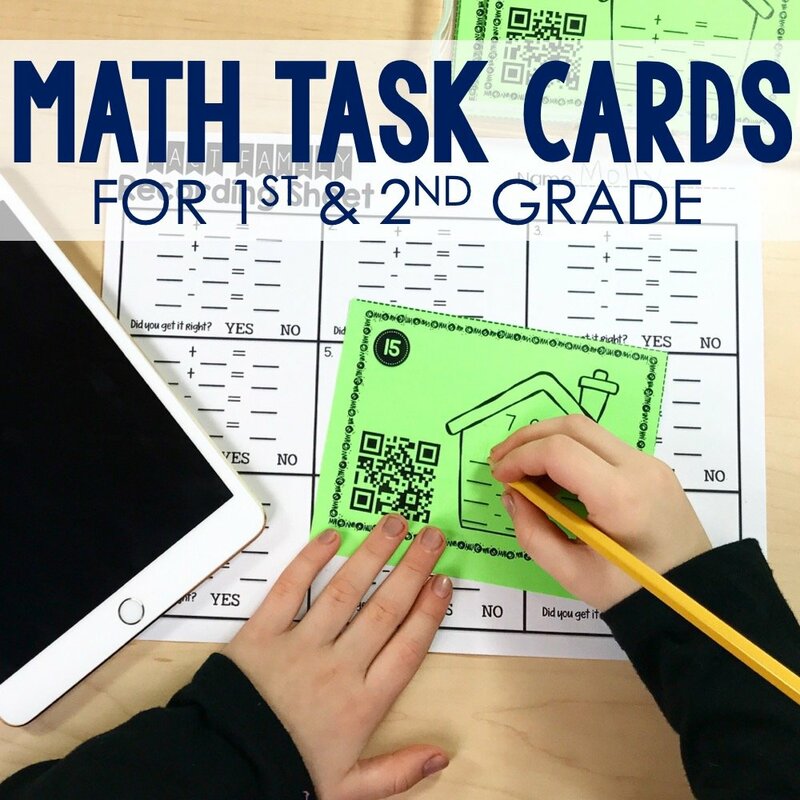 Divided into two sections, the first sections offers a variety of hands-on fraction scenarios using pizza math. Section two explores fractional values using a group of coins. This book offers endless possibilities for creating interactive lessons based on this fun story! 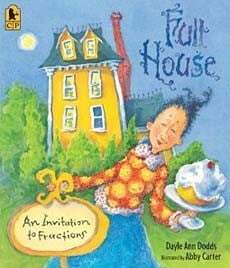 Full House: An Invitation to Fractions by Dayle Ann Dodds is a lighthearted fraction tale about an innkeeper and her guests. Your class will delight in helping the innkeeper, Miss Bloom, as she figures out how to divide up a tasty midnight snack for all her guests. School Library Journal says, “Fresh, whimsical illustrations fairly float off the pages… A fun choice for reinforcing the concept of fractions.” And I couldn’t agree more! 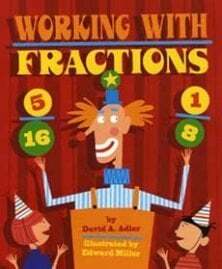 Working with Fractions by David Adler will capture your student’s attention right from the start with its bright illustrations and fun birthday party theme. 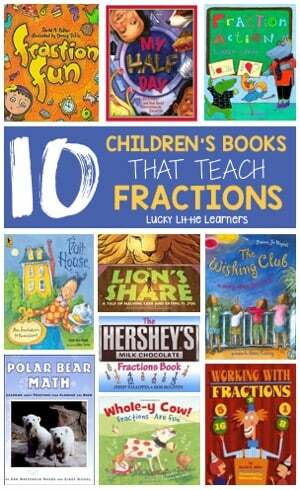 Adler’s book helps show your students that fractions are all around us! He helps readers explore fractions with party games, food, and even in the performances of a clown and magician. 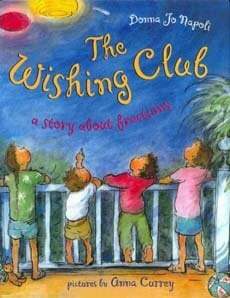 The Wishing Club: A Story About Fractions by Donna Jo Napoli is a truly magical book about fractions! This adorable story combines the fun nighttime activity of wishing on stars with an exploration of fractional concepts. When four kids make wishes on stars, they’re disappointed to find out that only a fraction of their wishes come true. 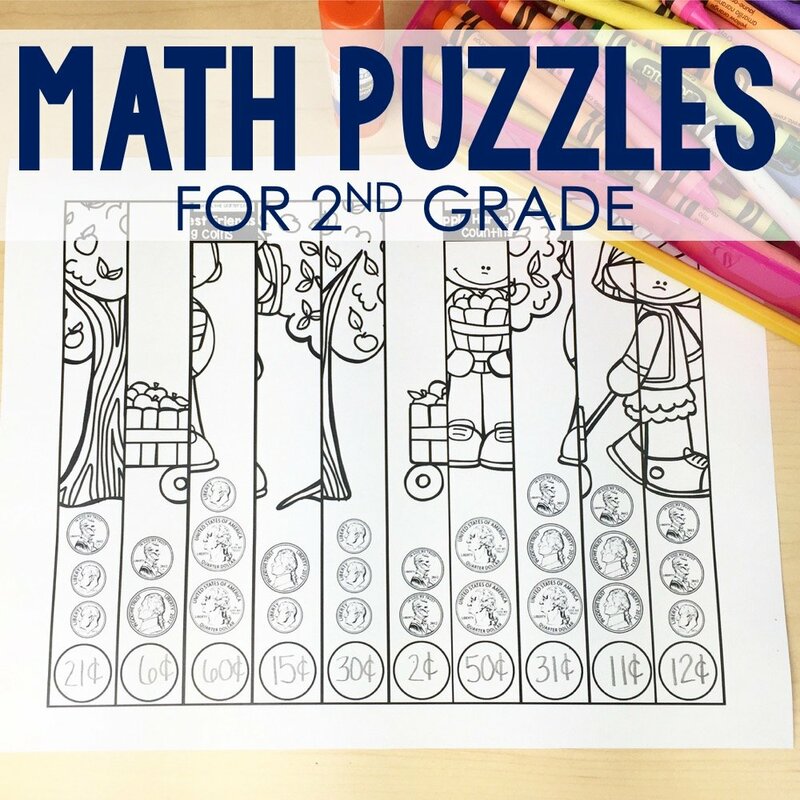 Your students will love watching the characters use their knowledge of fractions to figure out how to make all their wishes come true! 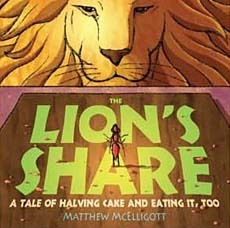 I absolutely love The Lion’s Share by Matthew McElligott for teaching fractions! 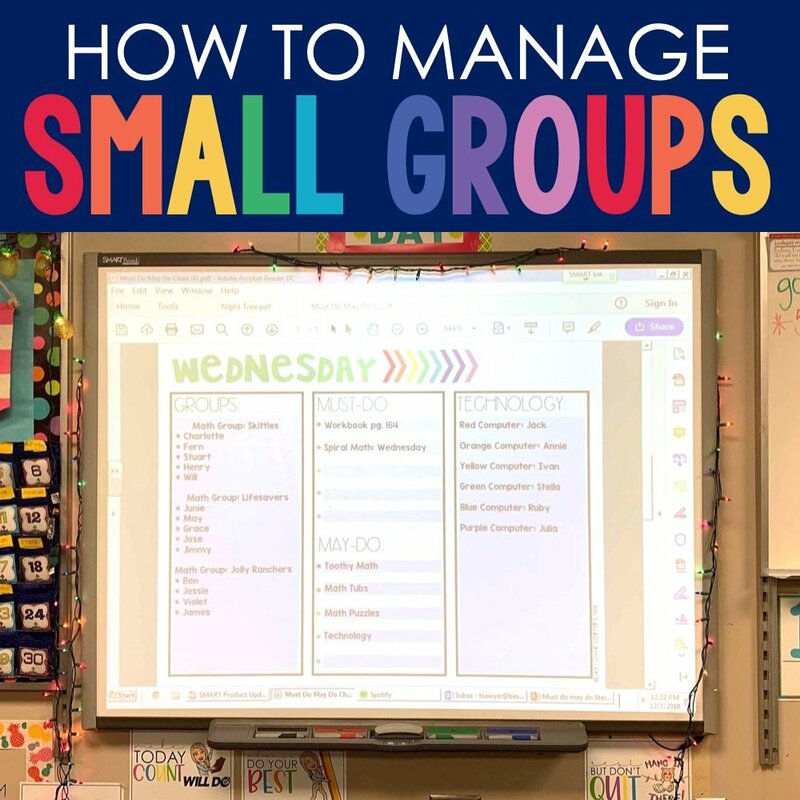 It is a must-have in your classroom library! Not only will your kids love the beautiful illustrations and the comical story about an overload of cake baking among animal friends – but they’ll also learn an important message regarding generosity and selfishness. 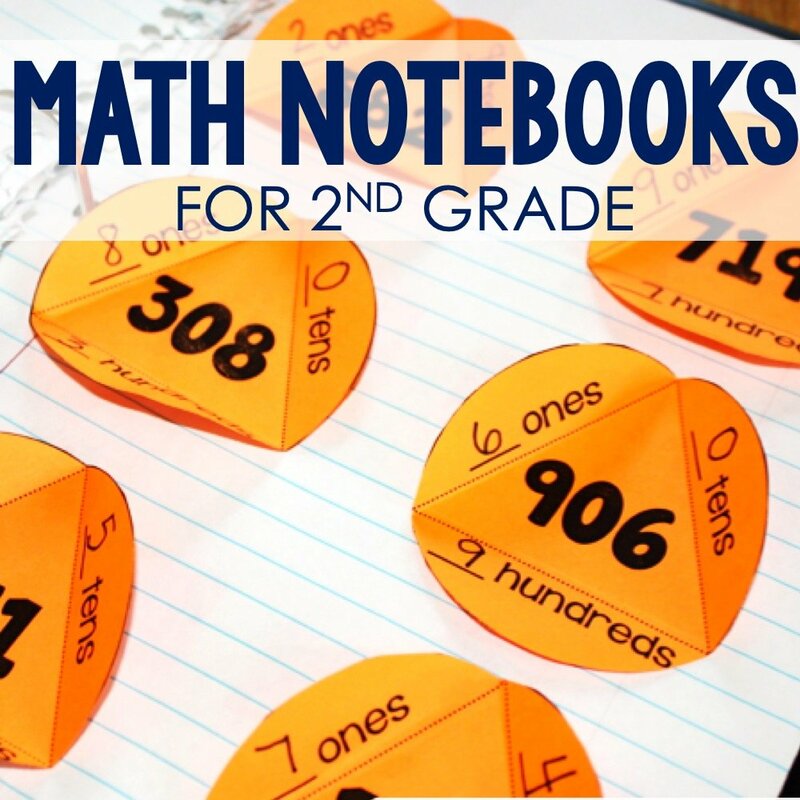 Throw in some exposure to multiplication and division, and you have a whole lot of math fun packed into one little book! 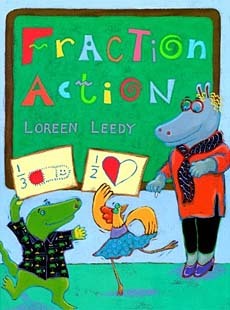 Fraction Action by Loreen Leedy takes students through five short tales to introduce them to the basics of fraction. 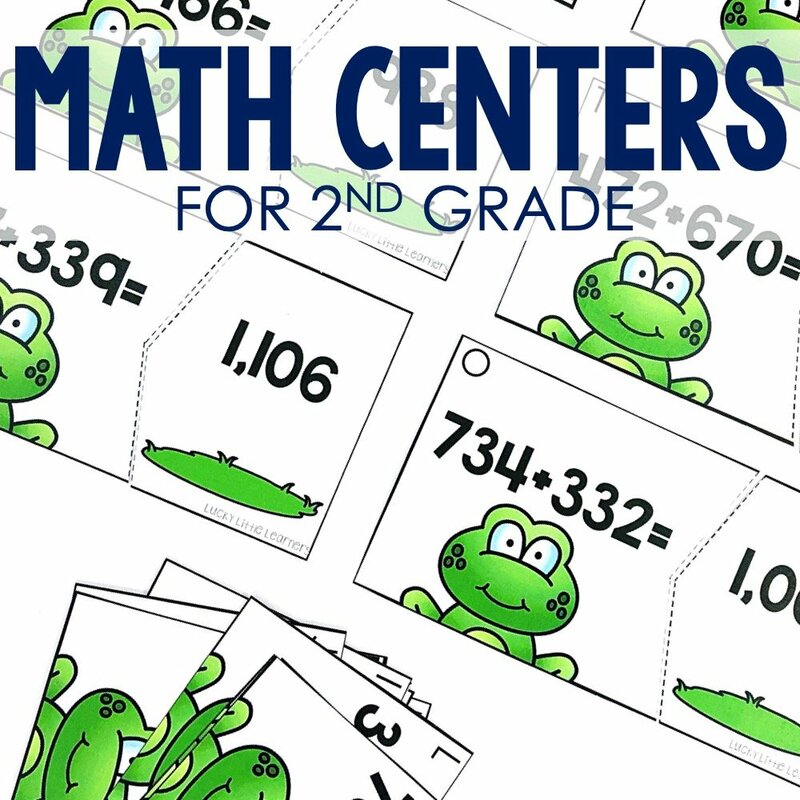 Your students will have so much fun learning from Miss Prime, the hippopotamus teacher, as she explains topics like fractional sets, dividing objects into equal parts, and comparing the value of fractions. 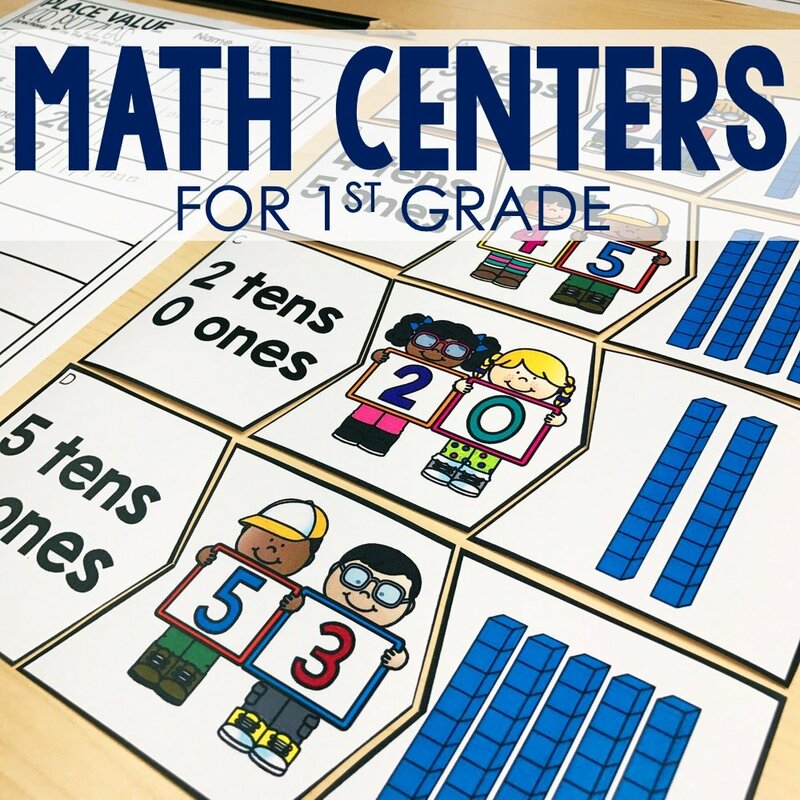 With mini-math problems featured throughout the story and a comic-book style design this is a fun and effective book to add to your fraction curriculum. Whole-y Cow! 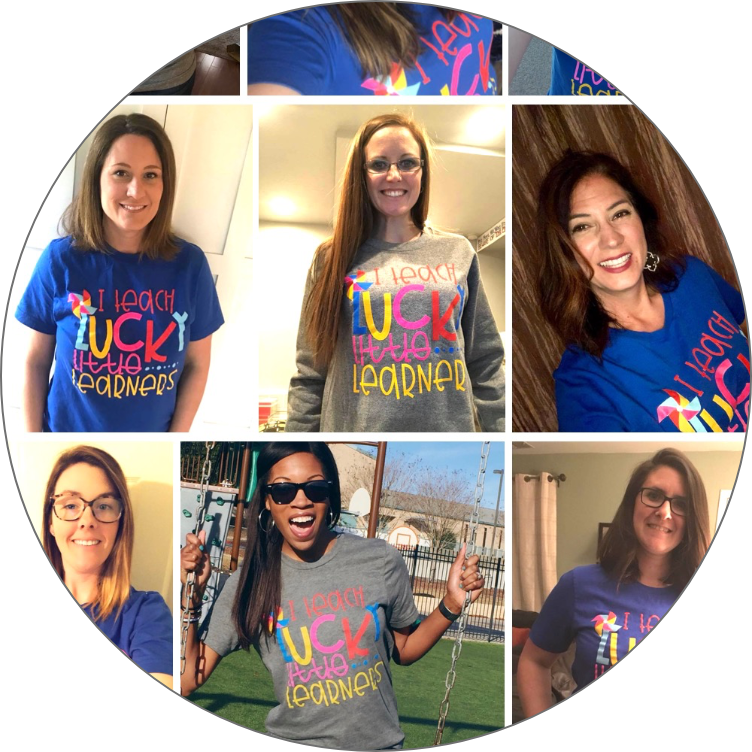 Fractions are Fun by Taryn Souder really does make fractions fun! 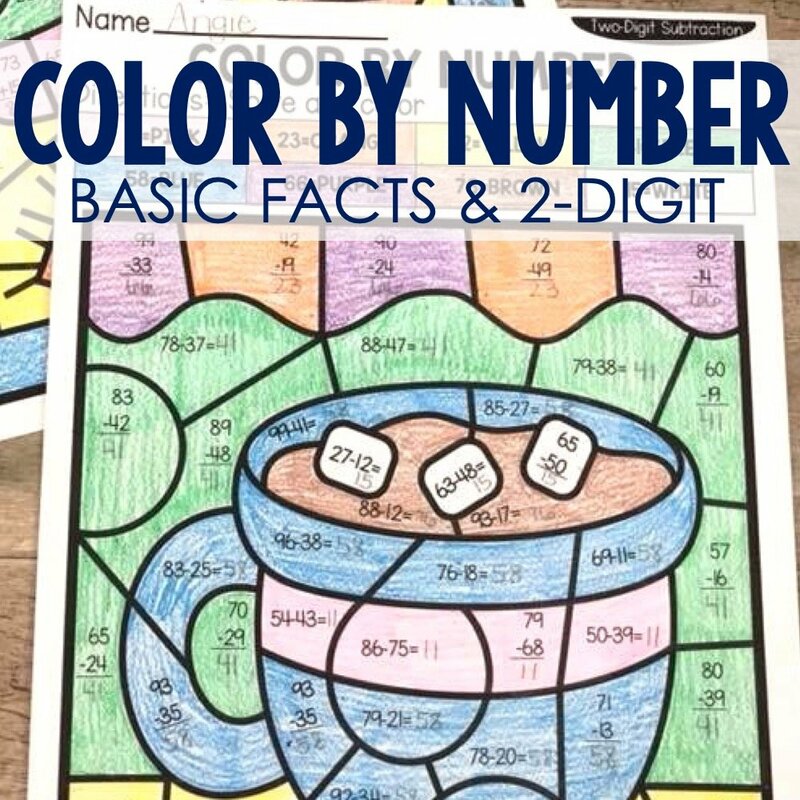 Written by an elementary math teacher, this entertaining book introduces basic fraction topics (such as parts of a group and parts of a whole) in a very easy-to-understand manner. 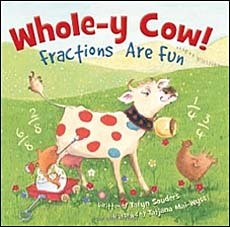 Have fun exploring different fraction-based situations with the friendly little cow who helps guide readers through the story. Prompted by a poem and visual clue, students are encouraged to solve fraction-based problems on each page. 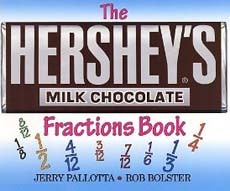 If you’re a teacher that generally stays away from using candy as a math manipulative, you might want to make an exception for Hershey’s Milk Chocolate Fractions Book by Jerry Pallotta ! 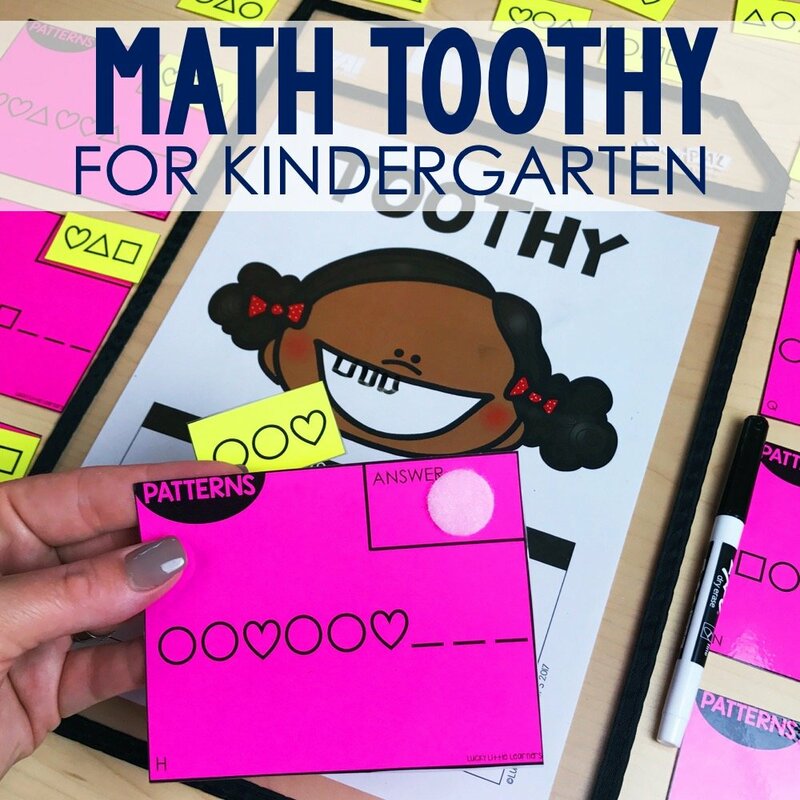 This hands-on book uses the natural way that a Hershey’s bar is split into 12 rectangles to explore different fractions. 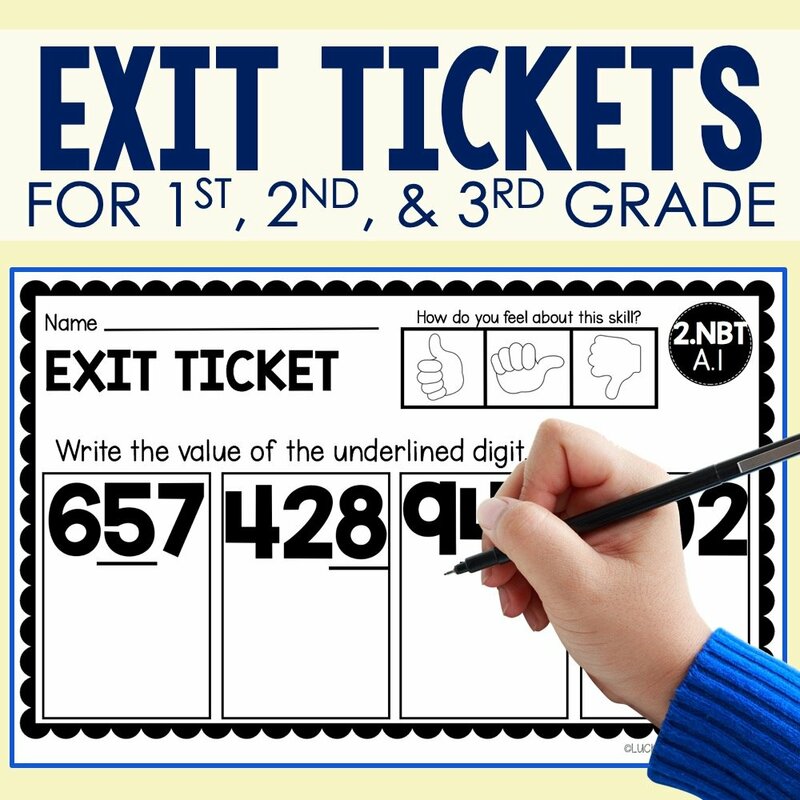 With big and bold illustrations, this book offers a fun way to combine hands-on fraction practice with literacy! 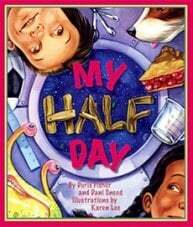 My Half Day by Doris Fisher and Dani Sneed is a brilliantly entertaining book written in rhyming verses and filled with fraction fun! 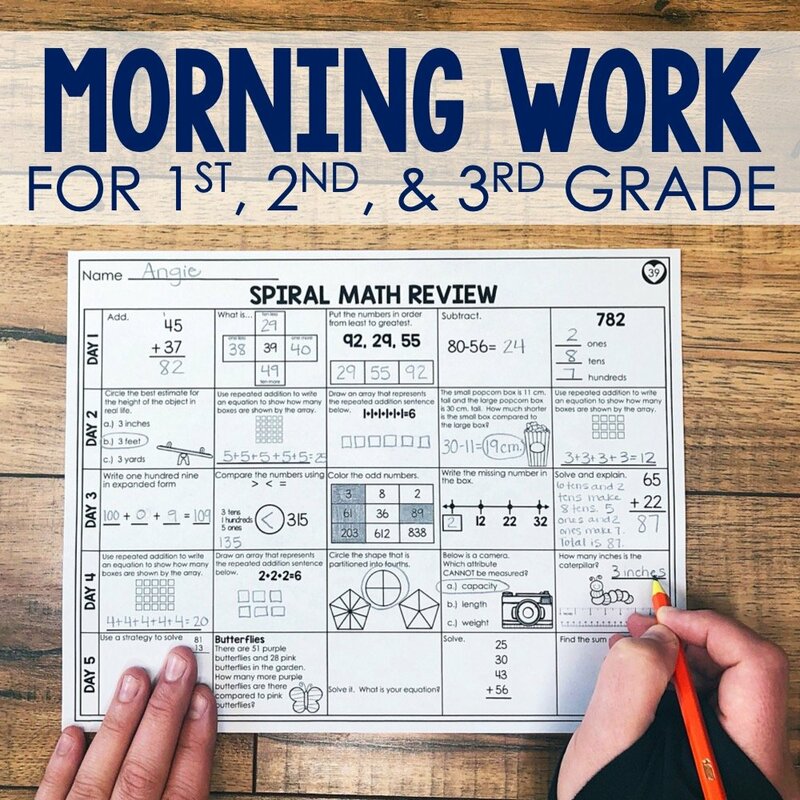 Your kids will not want to put this one down – I promise! The illustrations are gorgeous and the story is hilarious. Follow a young boy as he embarks on a day filled with fractions from waking up to a half-head of hair to heading to camp and playing in a crazy fraction-filled soccer game. Be sure to give your students time to explore the amazing illustrations – they may be surprised by what they find! 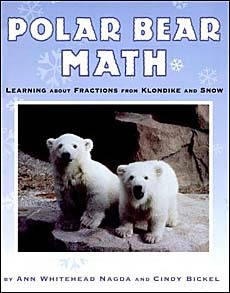 Polar Bear Math: Learning About Fractions from Klondike and Snow by Ann Nagada is a truly original math-themed book to add to your classroom library. Readers are introduced to two real-life polar bears, Klondike and Snow, who were born at the Denver Zoo. This heart-warming tale offers some very real-life applications for fractions by exploring concepts by how the polar bears grow and are fed and cared for. Not only will your little learners love the adorable photographs of Klondike and Snow, but they’ll enjoy the way this title blends math, science, and literacy into one adorable book! 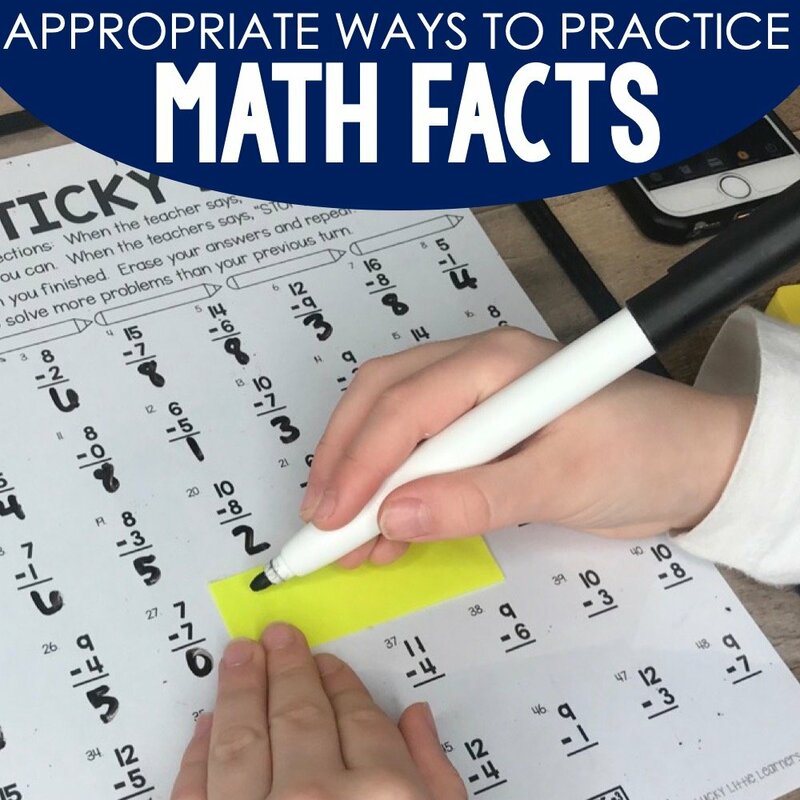 If you’re teaching fractions and looking for some great resources to help your students grasp this concept, take a look at these resources. 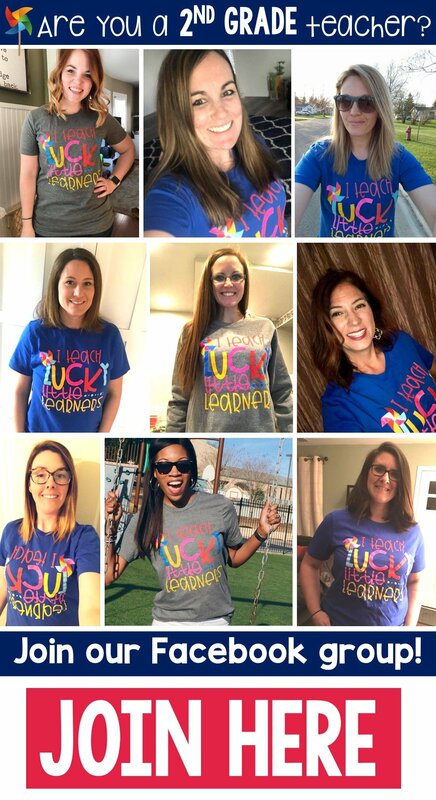 They are all written by a teacher author who has her master’s degree in elementary mathematics and knows what it takes to get kids to understand mathematical concepts. Doing fraction solution manually is good thing because the knowledge will be kept refreshing but sometimes when you are doubtful with your answer, it will be good if you can have some reference or guidance to make sure your solution is correct. So fraction calculator would be handy in this case. Plus, if you are on doing it on a very short time, fraction calculator would really help you save time.